NEW PROGRAM, NEW PEOPLE, NEW SCHOOL YEAR. NEW PROGRAM, NEW PEOPLE, NEW SCHOOL YEAR. Every year things change and evolve to make the school better. This year is no different. These changes include the new seminar program, a new lunch program, and a few new faces. Susan Seinfort has lived in this community almost all her life. The only time she wasn’t here was when she went to college. Mrs. Steinfort has four kids; Freshmen, Abigail, 7th grader, Audra, 3rd grade, Leah, and 1st grade, Ethan. She has also been married to Kenny Steinfort for 19 years. This year isn't her first year teaching. Mrs. Steinfort taught for a single year 5 years ago. When asked if coaching and teaching is hard to do at the same time, Steinfort said, “I feel that I can’t put the time I need into either teaching or coaching. 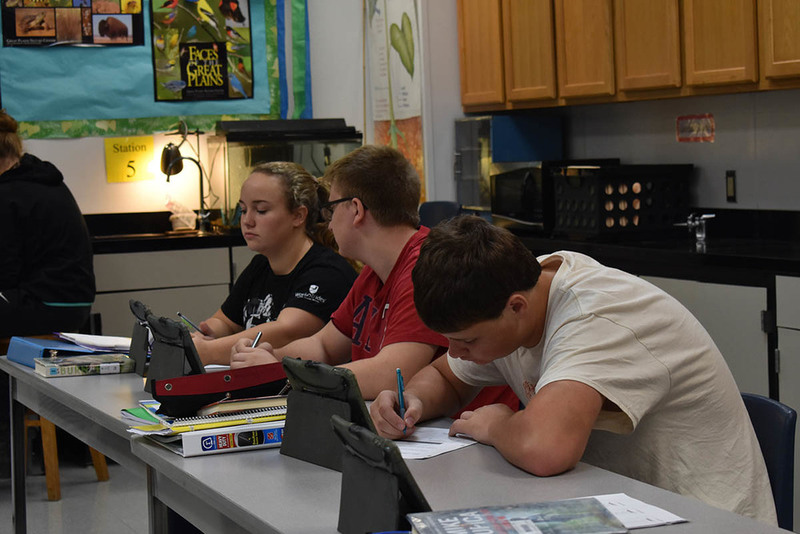 I want to give my students enough time with me and also give the same amount of time to my players.” She wants her students to know that this year is almost like her first year teaching all over again. She just needs a little time to figure out how everything works.